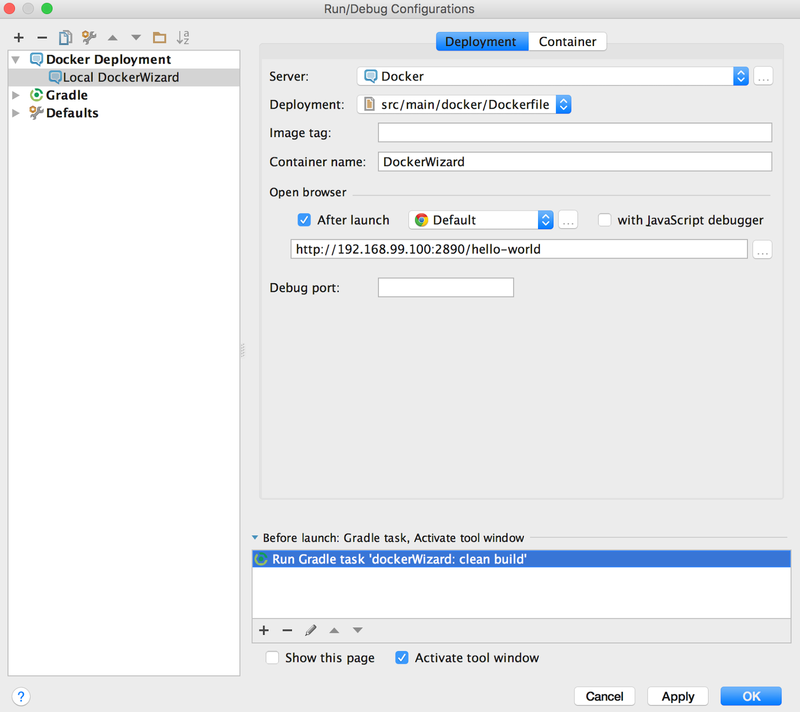 A short tutorial on how to use Docker within intelliJ and with a little help from Gradle. You can find the sample code & the full description here: https://github.com/adersberger/intellij-docker-tutorial. 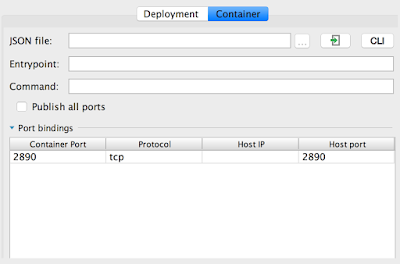 check that there is a default Docker Machine: docker-machine ls. 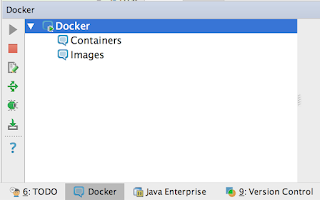 If there is no default machine create one: docker-machine create --driver virtualbox default. start the default Docker Machine: docker-machine start default. bind the env vars to the shell: eval "$(docker-machine env default)"
1) Setup Docker cloud provider in intelliJ global preferences as shown below. Tip: You can get the API URL by executing docker-machine ls and using the shown IP & port for the defaultmachine. Be sure not to forget to add the Gradle tasks as a "before launch" action as shown at the very bottom of the screenshot. The same is also possible for Docker Compose files. Just point the "Deployment" dropdown to the Docker Compose file. 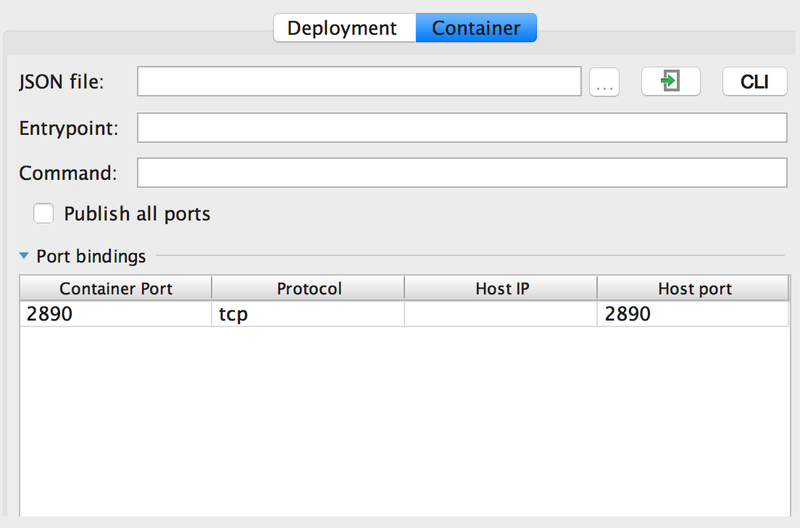 5) Run the configuration and inspect the Docker container. A browser will open automagically and point to the REST endpoint. Within intelliJ you can access the containers console output, environment variables, port bindings etc.